Enjoy this summer, relax and visit Tuquillo Beach. 4:20 a.m. Av. Jorge Basadre Cdra.1, crossing with Av. Javier Prado Oeste Cdra. 1 (Alt. Hyundai Store). 4:50 am University / Colonial (Alt. Furniture Fair). 5:20 am. North Plaza - Main door. Between 4:20 am and 5:20 am - Pick up at chosen meeting point. 5:30 am. We leave for Tuquillo. We will make a brief stop in Chancay for breakfast (free, at the traveler's expense) - 30 minutes. Then we will go to Barranca, where our first point of visit will be Christ the Redeemer, an imposing sculpture of 20 meters high made of concrete and painted white; It is at the top of "Cerro Colorado", surrounded by a viewpoint from where you can appreciate the beautiful beaches of the city. Later we will move to the beautiful Plaza de Armas de Pativilca, inaugurated in December 2009, where the sculpture of the liberator Simon Bolivar is located. We will be on our way to the Ancash Region until we reach the city of Huarmey, known as the "City of Cordiality". Once there, we will make a brief visit to your place. 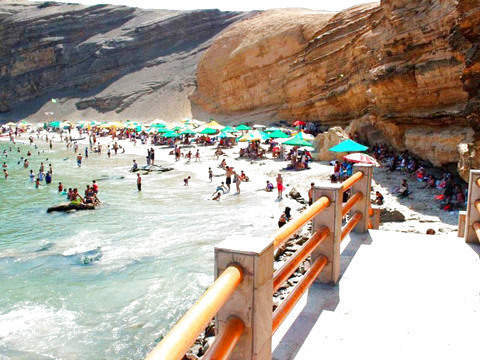 Arrival at the Tuquillo spa, called the "Pacific Ocean Pool" and considered one of the best beaches in Peru. In 2010 and 2011, the Tuquillo spa received the "Ecoplayas Award" in the Rural category, for its perfect state of conservation, cleanliness and frequency, decontaminated quality of its waters and sands, rural and urban beauty, emission systems of sewage, services to the public (bathrooms, toilets, orientation advice, access and parking). 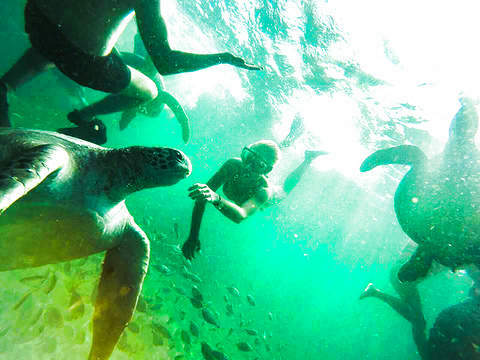 We can take aquatic photos with GoPro camera and enjoy inflatable games, floats, surfboards, snorkeling. 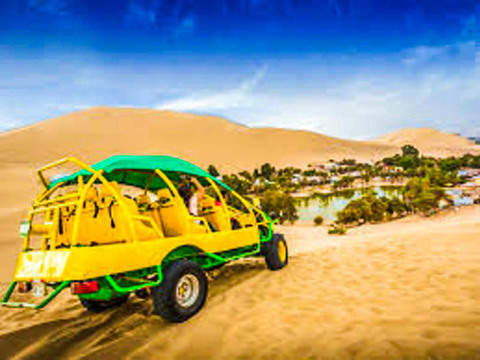 Walk to the beaches of Maracaná and Las Pocitas, enjoying the sea breeze, the coming and going of the waters and a panorama full of sand and dunes that glimpse as if they were mirages. Lunch at the Tuquillo spa (Free, at the traveler's expense). 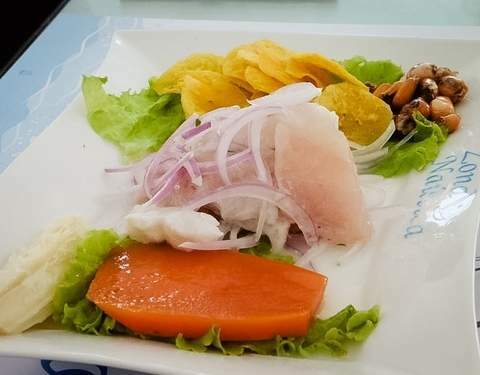 You will find a diversity of restaurants, whose specialty is fish and seafood. In this beautiful beach we will stay all the rest of the afternoon to give us a refreshing bath of fresh water, to take a boat ride or to rest on the shore. This place is ideal for bathing with the whole family especially small children and even for people who can not swim as it is super quiet and safe for them. Those who wish can ride on horseback, in totora horses or boats. 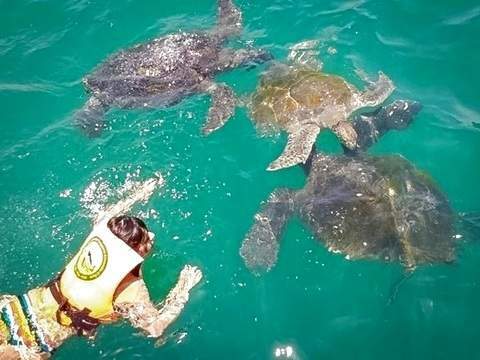 Free activities such as diving and kayaking (optional, free, at the traveler's expense). 4:30 pm. Return to Lima. 11:00 pm. Arrival in Lima (same starting point). Tourist transport round trip from Lima. >> Vehicles monitored by GPS. >> Permission of the MTC to circulate at the National Level. Refreshment on board (not valid for long holidays). Visit to the Christ Redeemer of Barranca. Visit Plaza de Armas de Pativilca. Visit Statue of Libertador Simón Bolívar. 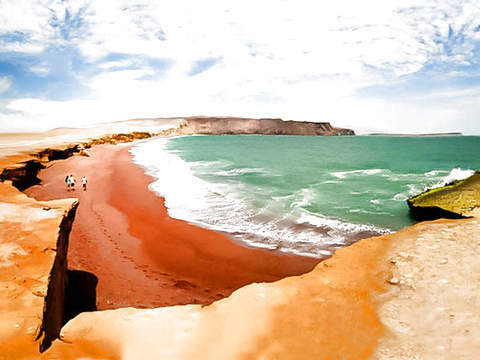 Visit Beaches Tuquillo and Pocitas. Tourist animation during the journey. Guided to the tourist places. Photographs during the tour, then posted on our Fan Page. Cost of optional water activities (eg Kayak - S / .20). CHILDREN: From 0 to 3 years old, they do not pay. They share seat and service with parents and / or accompanying adults. From 4 years old, they pay a full rate. Service is provided in Shared Mode. 4:20 a.m. to 11:00 p.m.